Today’s a public holiday here in Malaysia where I’m based (in case anyone has missed that LOL!) because its our National Day or Independance Day. And in the spirit of patriotism here are some brands which are homegrown and the noteworthy items I have tried from them (in no particular order). The brand seems to have quietened down a little since it was launched. 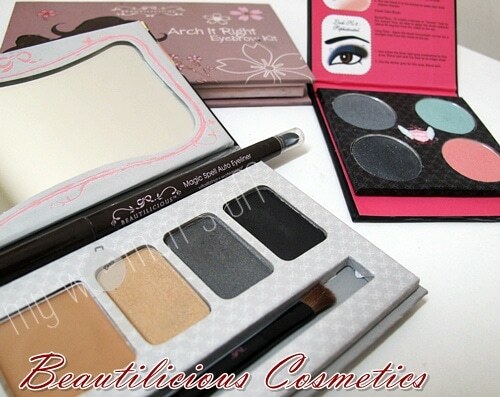 I’m still using the Arch it Right Brow Kit (for the awesome tweezers and brow powders) and the Magic Spell Auto Eyeliner, both of which are definitely worth taking a look into. Also consider the eyeshadow palettes – Alyssa and Smoke Gets in your Eyes are surefire recommendations from me. View availability here. The name is a little kiddy and so is the image, but there are a couple of hidden gems in there. The Moisture Max lipgloss isn’t bad for something that affordable, and the Funky Eyeliner pencils deserve a worthy mention. Stage is a little hit and miss. I absolutely adore the Burlesque Ball collection from last year. The Gossip eyeshadow palette serves me very well till today (and I always seem to get compliments when I use it) and the Stage Wondergloss is one of the few lipglosses I like and use often. I’m also feeling the love for the Wonderlust lipsticks which I haven’t reviewed yet but which I like for being smooth and not drying, and if you like nail polish, the nail polish in Pretty and Gorgeous isn’t bad. Isn’t it interesting how they are all called something cosmetics? 🙂 We aren’t lacking in skincare brands too. Some of which have even captured the imagination of foreign bloggers (see the feature on Ginvera Marvel Gel on Lipglossiping). The Intensive Body Cream is the sole product I have tried, and I liked it tremendously. That’s not all bad from a homegrown natural product brand 🙂 I’ll be keeping an eye on this brand in time to come when they get their EcoCert and go organic. There are 2 brands I have tried and liked for handmade soaps and body washes – Indochine Naturals and Soapy. Both are based locally yay! The company is Malaysian but the products are manufactured with research from Italy. Notable items are the sunscreen and the MultiAction Mask which gets the thumbs up from hypersensitive skins! PREVIOUS POST: Smashbox Photo Finish Foundation Primer : Its more than just primer! NEXT POST: Have you ever asked someone what makeup item they used for their look? Yeah I almost feel embarrassed checking out Silkygirl sometimes, but they do have gems in there 😀 Enjoy the break! Yes we do – something we might not always be aware of 🙂 Happy Merdeka! IDI Italy 1858 is Malaysian? Hmm.. I thought they had a history and roots in Italy dating back yonks.. I love Silkygirl eyeliners- so soft, great colours and so cheap! Always stock up when I’m in the area. Will have to try a lipgloss too next time. Silkygirl’s eyeliner! I lovelovelove that they don’t ‘slide’ even after hours of wear and are so easy to draw with – I’m single-eyelidded and almost always get ‘sliding’ eye makeup cos my lids fold inwards. gaah. Have you tried SimplySiti yet? I’m sorry I haven’t found anything in SimplySiti that catches my eye. Korean cosmetics don’t quite grab me either. Maybe if something does catch my eye from the brand I’ll give it a shot. Is Definite Cosmetics Malaysian? I quite like a number of their products. They are a Malaysian-Italian collaboration so I guess yes they are part Malaysian 😀 Some of their stuff aren’t too bad too. Wow, had no idea that most of these are Malaysian brands! 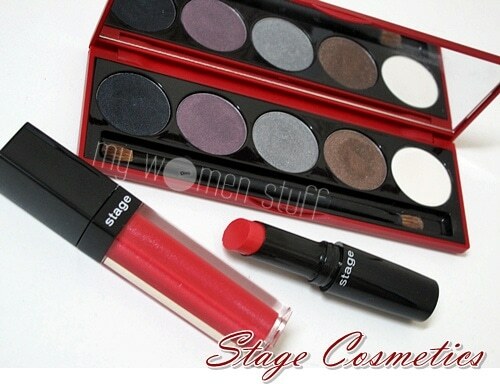 Bought a Stage lipgloss at their warehouse sale recently, but am yet to try it out. Tempted to give Beautilicious a shot now too. Paul Penders and Tanamera come to mind as being made in Malaysia. Unfortunately the Paul Penders cosmetics line is not sold in Malaysia though. Thanks for the info! Unfortunately I haven’t come across either in a big way. What does Tanamera sell and what’s good from either brand? i like the paul penders lipsticks, and LOVE their shampoo / conditioner, the only kind that stop my hair from being too frizzy / dry (i’m in an office environment most of the time, really dries my hair out as i don’t use products on it other than in the shower). I’d tried IDI 1.0 for oily acne skin. Before that, I had really terrible skin with lots of breakouts. The pimples even made my cheeks looked flushed and I didn’t even dared to touch any makeup products. 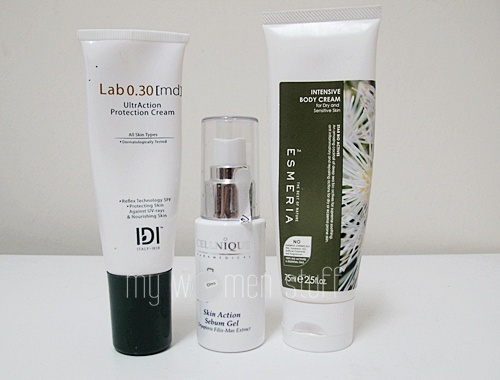 I tried IDI and the whole 1.0 set lasted me for half a year and my skin condition got better! Silkgirl Funky Eyeliner Rocks! Stays on forever! Cant wait to try Stage, like others i thought its from US.